Ajman Media City Free Zone is the latest free zone offering in the United Arab Emirates, in the city of Ajman. It has been formed with an aspiration to create a dependable, harmonious and a professional environment for businesses and individuals alike. The key to success in any business is commitment and perseverance. Ajman Media City Free Zone’s single-minded proposition is to support entrepreneurs to achieve benchmark performance and nurture their spirit to excel. Our vision and strategic focus is to provide global investors a unique and versatile business platform within a free market proposition. Ajman Media City Free Zone is dedicated to herald a new paradigm in the media free zone space of the United Arab Emirates thereby catalyzing the appeal of the emirate of Ajman as an investment destination. Pivotal to this vision is offering comprehensive investor satisfaction which will differentiate the free zone. At the heart of it, we are an investor-first free zone. 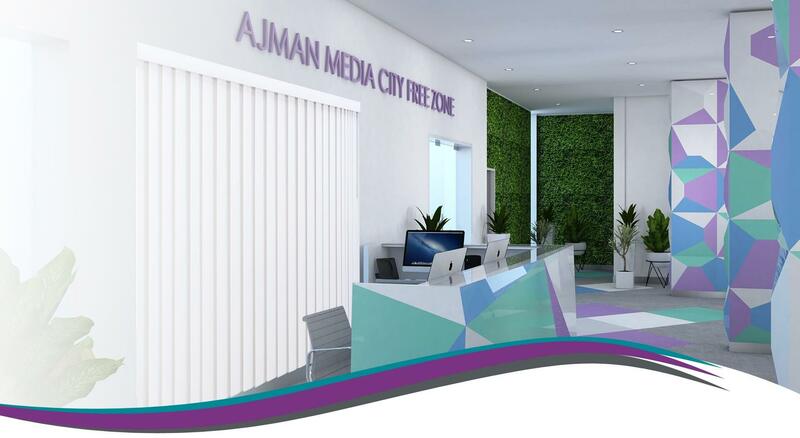 We want investors to feel a sense of belonging at Ajman Media City Free Zone. Leadership, excellence, integrity, accountability, teamwork and trust form the very basis of our business culture. We want to drive business excellence by continually improving and innovating our services. The emirate of Ajman is spread across 324 km2 including territorial waters (100km2) with a coastal area of 8 km across the arab gulf. The emirate comprises three key territories - Ajman city, Masfoot and Al Manama. Humidity is higher in summer and the temperature in winter is around 25 degrees. Covering an area of 42 km2, masfoot is 110 km away from the city center in the south-east. The region encompasses a fertile mazera known for agricultural activity, wide valleys and good climate. Mazera is a tourist destination thanks to its nature and terrain with mountains. `daftta,’ "leeshen" and "the white" are magical mountainous regions. Masfoot is also famous for its wide valleys such as "gulfa", "al sawamer", "masfout", "al khanfareyah" and "al defda'a". Located about 73 km to the east of Ajman flanked by the road through sharjah and Fujairah, Al Manama has gravel and sand valleys and mountains rich with natural minerals and building stones. It is also famous for its fertile valleys and plentiful crops. The Islamic values followed since time immemorial in the UAE is observed in all aspects of daily life providing strength and inspiration. Arab world is famed for its culture of generosity and hospitality and these virtues assure warm and friendly welcome to visitors to the UAE. Family is one of the most important institutions in the Arab community. Grandparents, uncles, aunts, cousins and relatives, and relationships within these extended families are bound to each other with respect to the elders in the family. Every year the holy month of Ramadan is observed with piety and fasting with Islamic religious rites adhered to steadfast. Ramadan month and dates differ every year and during the month muslims abstain from eating and drinking from Fajr (dawn) to Maghreb (after sun set) and visitors are expected to abstain from eating/drinking in public places during this time. Eid Al-Fitr is celebrated at the end of ramadan for three days. Eid Al-Adha is the day of sacrifice, representing the end of hajj, which lasts four days (hajj is obligatory for all muslims at least once in their lifetime). Falconry is one of the traditional sports practiced in Ajman as it is across the UAE, displaying the unique partnership between humans and birds.